The time has come for Modou to cover two of the most important notions in the history of CCGs: Card Advantage and Quality Advantage. Check out some examples, and a fun quiz at the end on what constitutes Card Advantage. Truth be told, there aren't that many ways to kick things off when it comes to key concepts. So, let's start from the top: base definitions. It is nigh impossible to dissect these notions without a proper definition so that's what we are going to do. Card Advantage (also noted CA) is the action of acquiring more active cards than your opponent. When your opponent gains card advantage, you generate Card Disadvantage (also noted CDA). Quality Advantage (also noted QA) is the action of improving the quality of your active cards without changing the number of active cards relative to your opponent. It is now becoming clear that we also need to define something else, so let's do this. An active card is a card that is in a game zone from which it can provide an action. This term is not necessarily relevant outside of defining CA and QA. This might explain why you've never heard of it before. Please do note that these notions are in more than just Magic: The Gathering. It applies to all strategic card games. Google and Wikipedia actually have their own sections for these terms. Now that we have everything we need, let's get down to specifics. 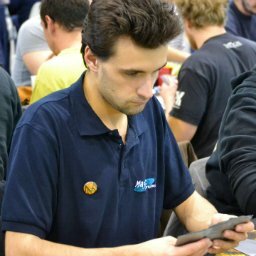 Let's have a look at some cases of CA and QA in Magic. Here are a few basic questions to see if you got the basics. You'll find the answers by the end of this section. Does casting Faithless Looting generate CA, QA, CDA or nothing? Your opponent controls a Grizzly Bear. What do you generate when you cast Unsummon on that teddy? You cast Surgical Extraction on an Ad Nauseam in your opponent's graveyard. You realize that he has none in hand and three more in his library, all of which you choose to exile (including the one in the graveyard of course). What did you generate? The tricky part resides in the definition of active cards. We have already given a technical definition of what that is, but for the sake of simplicity, let's say a card is active when usable. So now you just want to know when a card can be used. In most cases it is pretty basic: a creature is an active card while on the battlefield as it can attack or block, a spell is an active card while in your hand as it can be cast, a card in your graveyard usually cannot be played, etc. This vision of an active card can induce a (very) false perception of CA, which is that card advantage is the number of cards you draw. This is absolutely false. First, there are many ways to obtain card advantage without drawing. Second, drawing cards does not imply CA. Let's consider both cases with simple cards. The first example is Mind Twist. This card can provide some huge CA while drawing you no cards. In fact, you are going to lose one active card, as casting the Mind Twist will remove it from your hand and put it in your graveyard. But your opponent is going to lose so many active cards by discarding them that you're going to make up for your loss, generating massive card advantage. Now, of course, there are a few corner cases, like the one where your opponent only has an Obstinate Baloth in hand, but we will cover those later on. Note that a Wrath of God clearing away ten opposing creatures and none of yours is also an example of massive CA. These are just a few examples of how you can generate card advantage without drawing a single card. I'm sure you can think of many more. The second point is probably even more important when you come to grasp those concepts though. Drawing cards does imply card advantage, but there is an important nuance. So, let's get it out of the way. The action of drawing a card is moving it from the top of your deck to your hand. In and of itself, you are moving a card from a zone where it can do nothing (you cannot cast spells or play lands from your deck) to a zone where you can do stuff with it. This means that drawing a card is increasing the total amount of active cards in your hand by one, thereby generating CA. The pickle resides in what you pay to draw said cards. In fact, drawing cards, design-wise, has been heavily restricted to avoid massive CA from a single draw effect. Let's take a look at Altar's Reap for instance. The fact that you have to sacrifice a creature (aka an active card) is very relevant. A simple calculation says that by sacrificing a creature and putting the Altar's Reap in your graveyard, you sacrifice two active cards, only to draw two cards. Well guess what, you didn't generate any card advantage in the process, just some quality advantage. A similar case can be made for cards such as Tormenting Voice. Here's a bonus question: as the game progresses after you have cast and resolved a Howling Mine, what do you generate? Upon casting it from your hand, Faithless Looting will generate QA, as you lose two active cards (discard) to gain two (draw). Do note that here, since Faithless Looting has Flashback, it is an active card while in your graveyard, so casting it does not cost you an active card. However, upon casting it from your graveyard, you will generate CDA as your will draw two cards and discard two and lose the active card from your graveyard. This is a case of CDA pure and simple. You have lost an active card by placing your Unsummon in your graveyard while the opposing Grizzly Bear has only changed active zones. Another easy case of CDA. Your opponent could not do anything with any of the cards you exiled. You have lost an active card (your Surgical Extraction, which you can no longer use) and your opponent has lost none. Bonus: Between your opponent's Draw Step and your Upkeep (included), your opponent will have drawn one more card than you off of the Howling Mine, representing CDA for you. The rest of the time you will have gained an equal number of active cards, meaning you will have generated, at best, some QA. As I mentioned there can be some corner cases when generating CA and QA. Of course, there is an added level complexity when dealing with cards that are active in the graveyard (like with flashback), but I don't consider these cases to be particularly tricky. Just take the time to pay attention and you should be fine when calculating your card advantage from your active cards. Speaking of obvious truths, you should have noticed by now that Quality Advantage is just a fancy word for Card Advantage equal to zero. This is why I am mostly focusing on the concept of CA, as QA is actually just a particular scenario of CA. But right now, I really want to talk about the interesting stuff, the moment where it doesn't just boil down to basic counting. One of my favorite illustrations for this is the generation of tokens. A token is not a card, that much is very clear. But creature tokens can attack and block, hence providing action, so can they be considered active cards? It's actually hard to tell, it can be very dependent on the situation. Since we are at it, let's go over a few tricky situations. You tell me in the comments what you think about them and I will give you my answers next time! Why should I have all the fun, right? Remi casts Secure the Wastes for X=2. Did he generate CA? Johnny casts Fatal Push on both of the previously mentioned tokens. Did he generate CDA? Remi discards Squee, Goblin Nabob to cast Tormenting Voice. Did he generate CA? Johnny casts Remand targeting Remi's Cryptic Command on the counter target spell and draw a card modes, targeting an Inquisition of Kozilek. Did he generate CA? What if he targets his own Inquisition of Kozilek instead? Remi sacrifices Marsh Flats while having Pangalcial Wurm in his library. Did he generate CA? Johnny casts Bridge from Below. Did he generate card advantage? Remi casts Glittering Wish to get a Wargate from his sideboard, which he then casts for X=0 to tutor up Valakut, the Molten Pinacle. Did he generate CA? Would you generate CA by ticking Liliana of the Veil up in a six players Commander game? That's it in a nutshell. I cannot think of any easily describable game situation where there can be a true ambiguity. To be honest, for some of these, I don't have a certain answer myself. I don't want to tell you which one(s), as you should have a go in the comment section down below. I'd really appreciate it. This will be it for the article this month. This is only part one though, we will get on to part two next time. We will be talking about some more qualitative aspects of Card Advantage, as opposed to some more technical issues. I will however consider that all the technical vocabulary we talked about today will be assimilated. I know it can be a lot to take in, but the real deal here lies in the philosophy behind the definitions, and we can't really get to that before putting everything down. Before I leave, I would like to share an old article that I wrote in French back in 2015. It's been a while, but the concepts at stake don't really change with time. If you can read French and are looking for a more compact article on the matter, I do suggest you check it out, I am still quite proud of how it turned out. As always I really hope you enjoyed this article and that you could learn a thing or two from it. As always if you ever have a question about any of the terms at stake I will be more than happy to help you out, so don't think twice if you ever do have a question. I'll see you around, have fun until then! Nice article! You really made me laugh at the Wargate/Valakut example! Thanks for that! 1. Your arguments around tokens were a bit unclear, but essentially using a card to produce 2 active cards would be considered CA. 2. Johny used 2 cards to get rid of 2 active cards which Remi produced with only 1 card. So he spends 2 for 1. That's classic CDA. 3. Squee is "active" from the graveyard as that's how his ability works, so Remi only spend 1 active card to gain 2. That's CA. 4. Assuming Remi has a nonland card with cmc 3 or less, then in the first example there is no CA, only QA. Johny uses 2 cards, then draws 1 new card and his opponent loses 1 card. In the second example, however Johny does generate CA as he would spend 1 card and draws 1 new card, while his opponent loses a card (as cryptic command would fizzle due to having no targets). 5. Assuming he plays panglacial wurm from his library, then yes he would generate CA as he spends 1 active card to generate 2 active cards (the land and the wurm). 6. He did not generate CA as Bridge from Below is not active on the board, only in the graveyard. 7. He did not generate CA as the number of active cards he had never changed. There is QA advantage however. 8. No. In a multiplayer game card advantage would be measured relative to all your opponents combined (this is why counterspells and spot removal are often worse in commander). In this example, everybody lost the same amount of cards, so there is no card advantage.